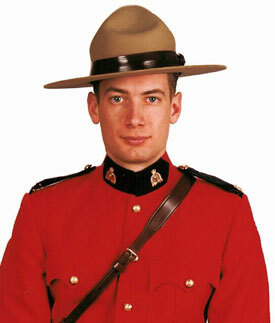 Peter Schiemann, 25, was a member of the Mayerthorpe detachment of the RCMP. He was born at Petrolia, Ont. He earned a bachelor of arts degree, loved to sky dive and fell in love with the RCMP after he went on ride-alongs with members. Upon completion of training at "Depot" in Regina, Saskatchewan, on November 27, 2000, Schiemann was posted to "K" Division, Alberta, at the Mayerthorpe Detachment, where he worked in General Policing and Highway Patrol.